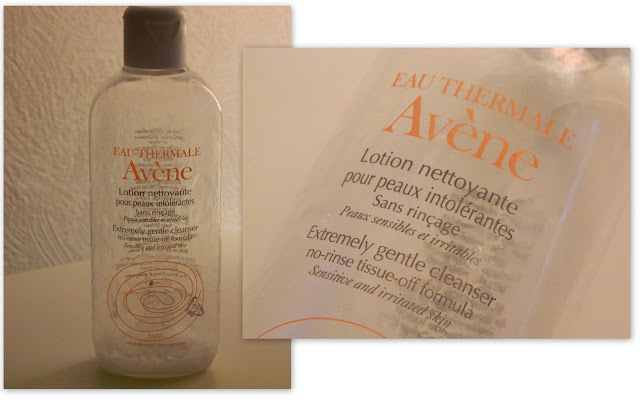 Avene Extremely Gentle Cleanser Review! I have had this cleanser for a while and I bought it when I had very bad eczema on my face (which is now almost gone thanks to an amazing non-steroid cream). This product was the only product that did not irritate my skin when I had really bad eczema! I used half of this bottle last year and I started using it now to use up all of my half empty products (I have now finished the full bottle). The cleanser has a gel like texture and you do not need a large amount of product each time you wash your face. The cleanser feels very smooth and gentle on the skin - it does not irritate my skin at all! This cleanser does have a scent, it is a plastic scent, which is not that nice but this product works well for me and my skin type (dry, sensitive). I feel like this cleanser does cleanse my face well but I do not feel like it deep cleans my skin. To use: I wet my face slightly then I apply a 20p size amount and massage it into my skin. I then rinse off the cleanser; although you do not have to rinse it off with water as this is a non rinse off cleanser but I always rinse it off. Instead of removing the excess cleanser with water, you could remove it with a cotton pad and your toner. Overall, this product does not irritate my skin, it makes my skin look and feel clean, smooth and clearer. Labels: Avene, Avene cleanser, Avene extremely gentle cleanser, beauty, cleanser for sensitive skin. Categories: Avene, Avene cleanser, Avene extremely gentle cleanser, beauty, cleanser for sensitive skin.